Nicolò Dinaro was mayor of Bronte from July 15, 1802. Nearly two centuries before his appointment, in 1638, the Bronte people had acquired the right to appoint the officers in charge of civil and criminal jurisdiction. Bronte thus saw the gallows raised to the Scialandro, a sign of the mere and mixed empire. «Of this obverse, - writes B. Radice - of which he enjoyed the University of Bronte, in 1802 tried to undress him Duke Nelson electing in Catania a superior court with manifest damage of the Bronte people. Mayor Nicolò Dinaro rose against this attack on July 15, 1802.» In the Nelson Archives (vol. 212-B-1) an «election made by Forcella in the person of Margaglio for governor of Bronte», dated August 14, 1801. The donation of Ferdinand of 1799 accorded to Admiral Horatio Nelson «the faculty of being able to elect in the land of Bronte the officials for the administration of that University». It was a privilege that for a three-year period assured the Nelson and their administrators a complete control of the municipal administration and above all docile mayors very useful in times of continuous and furious judicial litigation between the Ducea and the vassals of Bronte. 1803 Don Nicolò Spitaleri (1741-1831) was appointed mayor on 23 June 1803, on a set of names indicated by the Council, from the Marquis of Palermo Don Antonio Forcella, procurator of Horatio Nelson and administrator of the Ducea. The appointment was renewed on 10 September 1806. Source of this news was the Nelson Archives (volume 212-B-1). A plaque walled inside the Church of the Matrix still reminds us that Don Nicolò Spedalieri, "a man of solid virtue, of extraordinary talent, persevering and exemplary in the practice of faith", lived 90 years, 3 months and 4 days, "very meritorious of God and of the Fatherland, having covered, in an integral way, all public offices ". One of his sons, Gioacchino, was mayor of Bronte from 1818 to 1820. Don Gioacchino Spedalieri during the revolutionary revolts of 1820 unsuccessfully tried the way of neutrality and tempori­zation receiving emissaries from both Palermo and Catania now with tricolor and yellow bands, now with bands of other colors. In the end he escaped to Randazzo. (Mayor Spedalieri, - writes of him B. Radice - despite the Town Hall prayers, he had remained in Randazzo to direct ... fear). His father, Don Nicolò, had been mayor of Bronte in 1803. At forty-six years, in 1833, we find Gioacchino Spedalieri in Naples, head of the Section for the affairs of Sicily; he had married "with Donna Maria Carolina Graefer of Caserta in the thirties" (daughter of the gardener Andrea, 1st administrator of the Ducea) from which on 5 January he had a son to whom he gave the names of Luigi Salvatore Epifanio Francesco di Paola. Another son of the couple was the baron Giuseppe Nicola (born in 1812) expert in esoteric doctrines. Cimbali Giacomo, lawyer, resigned the 18.1.1823 with letter of dismissal sent to superintendent Valle of Catania, Baron Mandrascate. His son Antonino also, forty years after (1862) and in various other periods, was elected Mayor of Bronte. Vincenzo Catania (Belonged to him the Legal Memory of 2.8.1826 about "The Bronte' communists proper rights over the forests of the Maniace and S. Filippo di Fragalà" estates, Catania 1851). Meli Vincenzo, baron, (from 30 January). Resigns in April, after the 1848 riots. Was president of the revolutionary Committee , formed by 30 people, that exalted to liberal Pope (Pio IX) and to Palermo' constitution against the Bourbon King Ferdinando II. Battaglia Ignazio, President of the Council, acting as mayor until the 30 June. Margaglio Dr. Ferdinando, President of the Council in July and August. Sanfilippo Vincenzo, elected Mayor the 3 October. Saitta Dr. Luigi, (from 20 November, dismissed in June 1851). Luca Sebastiano, President, elected in June. Lawyer Lombardo Nicolò, nominated by the rebels, probably from 4 August. 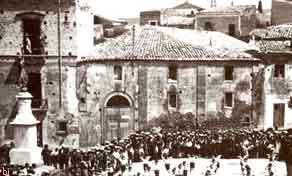 At dawn of the 10 August 1860, after a summary process for the bloody Bronte' facts, was shot by order of Nino Bixio in the Convent of San Vito square. Luca Sebastiano, Presidente froml 26 ottobre to 15 febbraio 1861. Meli Bernardo (from 9 maggio to 6 aprile 1862). Antonino Cimbali (Bronte 31.1.22 – 23.4.1897), acting as Mayor from 13 June. Medical doctor, man of letters, teacher of natural history in the Capizzi College , was father to four illustrious sons who reached high cultural levels in many fields: Enrico (Bronte 1855 – Messina 1887), Giuseppe (1858-1924), Francesco (1860-1930, second brontese deputy to Montecitorio and Mayor of Bronte in the years 1895, 1914 and 1903) and Eduardo (1862-1934). Was mayor of Bronte also in the years 1869, 1888 e 1890. His humane and generous character, his firmness and rectitude were needed to pacify the people of Bronte, to raise the exhausted municipal finances, to undertake important public works (cemetery, municipal house, theater) and enlarge Bronte' territory after the positive conclusion of a hoary dispute with the Dukedom. Cimbali dr. Antonino, in office till 1875. Was also Mayor of Bronte in 1862, 1888 and 1890. Leanza Antonino, acting as mayor until November. Leotta Guglielmo, acting as Mayor from 29 November. He remembers the gift of 61 volumes from the suppressed convents of the Capuchin Fathers, the Minor Observants and the Basilians of St. Blandano at the Capizzi College Library. He was mayor of Bronte also in 1882, 1886 and 1889. 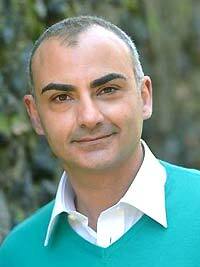 Alati Tommaso, lawyer, extraordinary Royal Commissioner from 12 October. Palermo Filippo, resigned shortly after being elected. 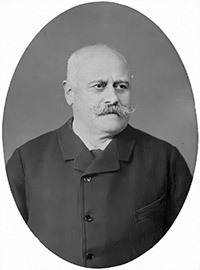 Leotta Guglielmo, in office till 1887. Benedetto Radice writes that, a year after, because of a cholera epidemic, "the mayor and the assessors run away". Sorge Giuseppe, lawyer, extraordinary Royal Commissioner (the civic Council came to an end because of the cholera epidemic and all powers were concentrated on the Commissioner). Cimbali Antonino, resigned the 28 January 1889. Under his mayor ship were initiated projects for the transformation of the Convent of Padri Basiliani (adjacent to San Blandano church) to "Municipal house", (till 1866 Bronte did not have one), completion of the Cemetery and staging of the City theater. Antonino Cimbali resigned on January 28, 1889, during a tumultuous session of the City Council to avoid the approval of a decision, desired by the party of the Ducals, led by the lawyer and procurator of the Duchy Nelson, Luigi Saitta, had a majority in the Council . Was mayor of Bronte also in the years 1862, 1869 e 1890. Baratta Gennaro, acting as till 7 September. Cimbali Antonino, resigned the 9 July 1891. Was also Mayor of Bronte in the years 1862, 1869, and 1888. Spedalieri Nicolò, in office from 6 June till 1894. Spedalieri Arcangelo, doctor, resigned the 24 June. Francesco Cimbali, doctor, acting as mayor. Son of Antonino (the father was several times mayor of Bronte in the years 1862, 1869, 1888 and 1890), Francesco Cimbali held the office of mayor of Bronte also in the years 1903 and 1914. Was our second Deputy (elected to Montecitorio in 1893-95) and provincial Councilor. Similarly to 1860 at that time in Bronte still faced the usual two parties: that of the "ducali" (advocates of the interests of Nelson) and the other of the "communists" ("the Cimbaliani"), who sided with those of the City. This time the cause of the dispute (among others) was the closure by the ducal of some royalties that led from Bronte to Marotta or, crossing the river, to the Nebrodi woods. And, as always, the Duke to win also put in the field the "ducal" of Bronte, his influence, the politicians friends (among all the Rascal Vagliasindi), his countless connections and also, as in 1860, the usual English Consul. 1904 Cimbali Francesco, doctor, in office till 1904. Was our second Deputy (elected to Montecitorio in 1893-95) and provincial Councilor; Was also Mayor of Bronte in the years 1895 and 1914. 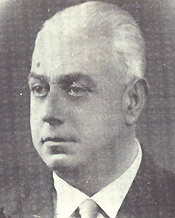 Placido De Luca was the last fascist Podesta and also the first to hold the post of mayor after the fascist period and the Constitution of the Republic (administrative elections of 7 April 1946). Militant in the Christian Democratic Party, headed a two-color Council (Christian Democracy-Socialist Party) and had as aldermen Castiglione Vincenzo (Socialist Party), Franchina Leone and Palermo Giuseppe (Christian Democracy), Meli Calogero and Di Bella Salvatore (deputy aldermen, of the Socialist Party). In the administrative elections of April 7, 1946 (the first held in Bronte after the fall of Fascism) were presented two lists of 24 candidates each: that of the Christian Democrats (where there were several notables, members of Catholic Action and the more wealthy classes of the country) and that of the "Spiga" (which included candidates of five parties: PdA (Action Party, Communists, Socialists, Republicans and Liberals). The Communist Party, although poorly organized, was active in Bronte after the war and had as its leader the geom. 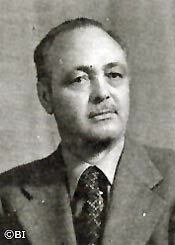 Vincenzo Galvagno, municipal employee. The DC, also and above all for the explicit support of the clergy, won the elections with 73.3% of the votes against 26.7% of the Spiga. Placido De Luca remained in the office of mayor lasted a few months only, until June, when the Council was dissolved for internal contrasts in the Christian Democratic Party. Giuseppe Interdonato elected Lord M ayor in June heading a two-color Council (Christian Democracy - Socialist Party). His aldermen were Luigi Mauro (Socialist Party), the notary Nunzio Azzia and Leone Franchina (Christian Democracy) and Gennaro Talamo and Nunzio Di Bella (deputy aldermen). The knight Giuseppe Interdonato, was President of the Hospital Castiglione-Prestianni during the war and till 1959, Director of the the Mutual Popular Bank of Bronte (the ancient Agrarian Mutual Bank), now Popular Bank of Bronte. always to the service of his country town, acknowledged the desire of revival and of political, economical and cultural awakening, that animated the people. He stood as a candidate for the Christian Democratic party to the administrative elections of the 9th of March '46 and was elected Lord Mayor of Bronte in June. He was fully involved in the revival desire of the after war time and of the wish for economical and cultural awakening that was animating the entire population, doing his outmost to realize social works and services in that period particularly necessary to the collectivity. Many remember him spending entire days on the train to get to Palermo or Rome or in the door steps of deputies or high government officials to ask for financing of works to be realized in our country town. That is how, while he was Lord Mayor, were realized the council houses of the avenue of the Region, the Municipal Palace, the scholastic complex «Mazzini», the house of the War Veterans and the sewer system, were improved many town' streets and realized others in various agricultural zones. A large numbers of his projects, undertaken by him were financed and executed when he was no longer Lord Mayor. 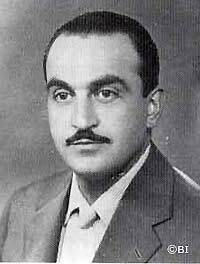 elected in the administrative elections 1952 with a civic electoral roll that joined, after the elections, the Christian Democratic party. 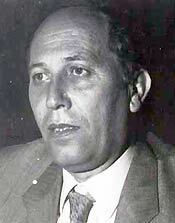 He formed a two-color Council with the aldermen Minissale Giuseppe, (future Mayor of the '55), Catania Luigi and Ciraldo Nunzio (Christian Democracy), Meli Vincenzo (Socialist Party) and two other substitute aldermen Liuzzo Giuseppe (Christian Democracy) and Longhitano Antonino (Socialist Party). However, he failed to complete the union until the natural deadline of the five-year term. He remained in office from June 1952 up to November 1955 when internal conflicts led to the resignation of the mayor. Nunzio De Luca left the mayor's chair at the pharmacist Giuseppe Minissale. chemist, Christian democrat, elected mayor in November 1955 after the fall of the Council presided by Nunzio De Luca. Had as aldermen Ciraldo Nunzio and Camuto Carmelo of the Christian Democracy and Meli Vincenzo of the Socialist Party. Substitute alderman was Longhitano Antonino of the Socialist Party. The mayor Minissale had as councilors Ciraldo Nunzio and Camuto Carmelo della Democrazia Cristiana and Meli Vincenzo of the Socialist Party. 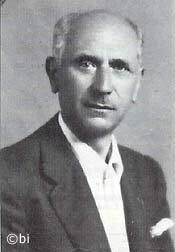 The only deputy commissioner was Longhitano Antonino of the Socialist Party. 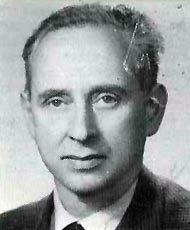 His junta, however, lasted only a few months: from November 1955 to June 1956 when, in the administrative elections of the same month, the left, led by lawyer. Vincenzo Castiglione, with 50.3% of the votes (against 49.7% of the DC) for the first time went to the city government. lawyer, socialist, valiant defender of trade union rights of workers. Elected in the electoral list Autonomy and Revival that in the elections of 1956 obtained 4.868 votes (50,2%) headed the first Council of the left of the political history of Bronte. His aldermen were Cantaro Galeno Domenico (Communist party), the professor Mario Lupo (deputy Mayor), The schoolteacher Vittorio Cutrona and the lawyer Antonino Venia (Socialist Party) and Lupo Vito and Gulino Lorenzo (Communist party, Socialist party, deputy aldermen). In the following administrative elections of 1960 the Christian Democracy obtained 14 seats (over 32), the Socialist Party 13. Was formed again a council of the left with lord Mayor still the lawyer Castiglione Vincenzo (effective aldermen: Mario Lupo, Nunzio Pappalardo, Antonino Venia od the Socialist party and Gatto Giuseppe of the Social Democratic party of G. Saragat; substutute aldermen: Salvatore Longhitano and Alfio Martello, Socialist party). This second administration of the lawyer Castiglione lasted only two years; in 1962, in fact, the representative of the Social-Democrat party, Gatto, took away his support causing the fall of the Council and offered it to the new Lord Mayor Nunzio Meli. professor. Was also headmaster of the Capizzi high school and president of the local Mutual Popular Bank (the ancient Mutual Agrarian Bank founded in 1912). Was elected in the list of the Christian Democracy; his Council was composed by the aldermen Attinà Fortunato and Lombardo Nunzio (Christian Democracy), Saitta Alfio (Monarchist Party) and Gatto Giuseppe (Social Democratic party) and deputy aldermen Caraci Nunzio and Ciraldo Francesco (Christian Democracy). Four years after, in the successive administrative elections of the 22.11.64, again the Christian Democratic Party of Bronte won with 4.553 votes (42,52%. Second resulted the Socialist party with 2.524 votes). Was elected again Lord Mayor the professor Meli Nunzio. His aldermen were Gatto Giuseppe (Social Democratic party), Lombardo Nunzio and Carmelo Zerbo (Christian Democracy) and Venia Antonino (Socialist party); deputy aldermen were Pappalardo Nunzio (Socialist party) and Currao Giuseppe (Christian Democracy). lawyer. In the administrative elections held in November 1968, of the 32 seats available, the Christian Democracy had 13, the Socialist party-Social Democratic party 10, the Communist party 5, a Maniace' civic list 3 and the Italian social Movement 1. Was formed a left wing council and elected Mayor the lawyer Antonino Venia with the aldermen Vincenzo Lupo, Giuseppe Gatto, Castiglione Placido and Fallico Antonino (the substitute were Di Marco Sebastiano and Caltabiano Paolo). The Council, tortured by a long, internal crisis, was forced to resign during Augustl 1970. The crisis last only a few days: the 29th, in fact, a coalition formed by eight Christian Democrats councilors of Sturzo section (on the 13 that the Christian Democracy had), the Socialist party and the civic list of Maniace elected Mayor again the lawyer Venia with the aldermen Attinà Fortunato, Zingali Ignazio, Paparo Antonino (Christian Democracy), Castiglione Placido (Socialist party) and Di Marco Sebastiano of the civic list of Maniace. Vincenzo Paparo (Bronte 1922 - 1990), professor of letters and principal at the Liceo Capizzi, was mayor of Bronte from 1973 until June 1979. A militant in the Christian Democrats, he led a handful of dissidents from Democrazia Cristiana who referred to the Hon. Russo (the other led by Nunzio Lombardo was linked to the Drago). He was elected mayor after the administrative elections of 1973 when the DC with 44.1% of the preferences won 15 seats, more than double the PSI of Vincenzo Castiglione who came second with 19.5% of the votes (7 seats). Formed a two- color Council with the layer Vincenzo Castiglione and Biagio Saitta of the Socialist Party and Ignazio Zingali, Giuseppe Sarta and Antonino Paparo of Christian Democracy. 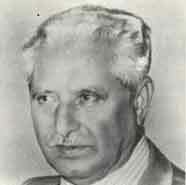 Vincenzo Paparo remained in office from 1973 until June of 1979. In addition to his peculiar qualities of mirrored honesty and rigor we want to remember his foresight in starting the expansion of the country downstream, in Contrada Sciarotta. Giuseppe Franchina, school teacher, headed from June '79 a one-party Council again with Christian Democracy majority; (in the elections they took 4.910 votes over 12.404 voters, the Socialist party 2.833 and the Communist party 1.073). Were part of the initial Council the aldermen Paparo Antonino, Longhitano Francesco, Leanza Biagio Antonino, Sarta Giuseppe, Spitaleri Antonino and Spitaleri Francesco (all Christian Democrats). Towards the end of the Franchina mandate were also part of the Council Pino Firrarello and Petronaci Zino. The union period of the Franchina-Leanza-Firrarello trio was one of the most prosperous in the post-war history of Bronte. In addition to the purchase of Nelson Castle (September 4, 1981, approved by the City Council on April 30 of the same year and financed by the Department of Cultural Heritage of the Sicilian Region with the benefits provided for by Regional Law 80/77), considerable funding was obtained and undertaken imported public works. We would like to mention the construction of the District Court and the municipal villa (with an INA mortgage of 985 million lire), the completion of the pool (a loan was obtained from the Cassa DD and Lire 900 million, but the expropriation of the land on which to build it dated back to the late '60s and was inaugurated 20 years later), the remaking of public lighting, the upgrading of the aqueduct, the completion of the sewage network and the first works for the construction of the purifier, the urbanization works of the Sciarotta area and the handicraft area of ​​the SS. Christ. On December 4, 1983 the mayor Franchina in front of the municipal building also inaugurated the city methane network that made Bronte one of the first Sicilian municipalities to equip itself with gas for domestic use. Giuseppe (Pino) Firrarello, elected in the list of the Christian Democracy, that in the administrative elections 1984 won 5.320 votes (45,49%) against 3.220 of the Socialist Party (27,53%), 1.329 of the Communist Party (11,36%) and 822 of the Italian Social Movement (7,29%). Headed a two-color Council (DC-PSI) with the aldermen Livio Castiglione (Deputy Mayor, son of the Mayor Vincenzo) and Nicola Furnitto of the Socialist Party and with Giuseppe Catania, Francesco Musarra, Salvatore Anastasi and Antonino Triscari of the Christian Democracy. A successive reshuffle brought, in the Council in '86, Salvatore Pizzuto, Antonio Longhitano, Calogero Di Marco and Zino Petronaci. 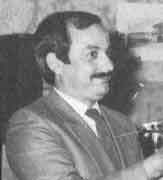 Pino Firrarello, subsequently elected deputy to the Sicilian Regional Assembly (22.6.1986) and then Senator to Madama Palace (1996 and 2001), left the chair of Lord Mayor to Nino Paparo. He was successful in carrying to completion many initiatives started in past administrations, programming several new public works and resolving important problems for the collectivity in Bronte. The Lord Mayor Firrarello recei­ves, in the council chamber, the Cata­nia’s Prefect Virga, (to his right). To the left the, vice mayor Livio Castiglione and to the right the municipal secretary. Antonino (Nino) Paparo, born in Bronte on 10 May 1938, Christian Democrat employee, was mayor of Bronte since November 1986. Appointed by the City Council, he took over the post of mayor to Pino Firrarello, who resigned from the post following his election as a Member of the Sicilian Regional Assembly. "He was a good mayor - wrote Firrarello - thanks above all to his uncommon ability to please everyone". Paparo confirmed the previous bicolor Council (DC-PSI): «the municipal administration I presided over - had to declare. as a political and programmatic formation it is the continuation of the previous one ". Formed a Council with Pizzuto Salvatore, Di Marco Calogero and Longhitano Antonino of the Socialist Party and Caruso Vincenzo, Anastasi Salvatore and Triscari Antonino of the Christian Democracy. 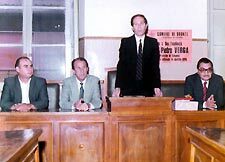 With a successive reshuffle of the 2.12.1987 the aldermans Lorenzo Giuseppe Capace, Calogero Di Marco, Salvino Luca of the Socialist Party and Vincenzo Caruso, Nunzio Castiglione, Antonino Galvagno of the Christian Democracy formed also the Council. 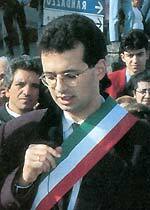 Francesco (Ciccio) Spitaleri, employee, elected in the list of Christian Democracy that in the administrative elections of the 28-29 maggio 1989 won 6.727 votes (54,42% ) with eighteen seats. Among the other parties, the Socialist Party had 26,45% (9 seats), The Communist Party 9,80% and the Social Movement-DN 5,20%. Headed a one-party Council with Saitta Antonino Luigi, Catania Giuseppe, Catania Franco (subsequently elected to the Sicilian Regional Assembly), Franchina Giovanni Luigi, Lupo Tommaso and Schilirò Maria (all Christian Democrats). Spitaleri resigned on December 13, 1991 (he said then for political agreements of alternation within the Christian Democratic group prior to his election) In fact his was a junta in time and the mayor - as declared in the City Council - resigned "considering completed the period for which the administration had been established ". The Socialist Party had to return to the municipal administration after two and a half years. The Christian Democrat Ciccio Spitaleri took over ten days later another Christian Democrat, Salvatore (Gino) Anastasi: in the Council meeting of December 23 a "Bulgarian majority" of 24 councilors (all DC and PSI) out of 32 elected the new mayor and the six members of his council. 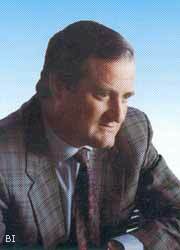 Anastasi Salvatore (called Gino), chemist, Christian Democrat, he was elected Mayor of Bronte the 23rd December 1991, after the resignation of Spitaleri Francesco. Headed a Council Christian Democracy-Socialist Party with a total of 27 councilors over 32) with four aldermen Christian Democrats (Antonino Orefice, Biagio Papotto and Giuseppe Basile and three Socialist (Francesco Musarra, Biagio Saitta and Vincenza Meli). Lasted in office only one year for the anticipated breaking up of the Town Council. Towards the end of 1992, in fact, the 18 Christian Democrats councilors resigned and, for Bronte, was nominated a Commissar ad acta. The period of his Mayor ship was contemporaneous to the end of the so-called "First Republic" (with the dissolving, even in Bronte, of the two major political Parties, the Christian Democracy and the Socialist Party). 1993 Doctor Benedetto Girolamo, prefecture Commissioner. Zappia Mario born at Catania the 14.2.1954, medical doctor, first Lord Mayor elected directly by the citizens in the administrative elections of 21.1.1993 in the civic list "Together to rebuild". 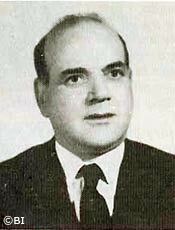 Surpassed in the second ballot with 5.937 votes (61,55%) the lawyer Livio Castiglione. Chose as first aldermen Galvagno Antonino, Galvagno Maria, Sanfilippo Antonino, Meli Nunzio, Schilirò Antonio and Spanò Nunzio. Four years after, in the municipal elections of the 1997, again in second ballot, Mario Zappia was re-elected Mayor with 9.032 votes (the other candidate, Franco Catania, refused to participate to the second ballot). His first Council had as aldermen Bonina Gaetano, Costanzo Angela Daniela, Leanza Nello, Pappalardo Consolazione and Salvia Carmelo (with functions of Deputy Mayor during the last period). For subsequent resignations and reshuffles joined as aldermen also Biuso Nuccio, Bonina Antonino, Gorgone Maurizio, Navarria Antonino, Longhitano Maurizio and Pinzone Alfio. lawyer and business manager, Socialist, ex vice-president of the Sicilian Regional Assembly and ex Regional Alderman to Public Works. After thirty years has brought back the left wing to to govern the city of Bronte: has been, in fact, elected Lord Mayor in a coalition of Left-Center, in the second ballot of the 10th of June 2002, with 6.205 votes (54,76%), surpassing the other candidate, the layer Nunzio Calanna of the coalition "House of Freedom" by 1.077 votes. The aldermen of his first Council, indicated during the electoral campaign, are: Antonello Caruso, Rosaria Costanzo Zammataro, Antonino Leanza, Alfio Paparo, Franca Reale and Vincenzo Sanfilippo. His coalition has, however, little power and representation in the Municipal Council where the House of Freedom has an overwhelming majority of 14 councilors over 20. The brief Leanza’s mayoralty did not had a happy life: since the first months the composition of his executive committee appeared fickle and changeable, (during the two years, the Mayor rotated 13 names to that position. ), and the rapports with the Council were particularly quarrelsome, as the opposition, (Casa delle libertà (Freedom’s House), had a majority of 14 councilors out of 20, having surpassed in the first electoral turn, of the 26th-27th of May 2002, with a crushing majority, the coalition that voted Leanza (7.376 votes 60,47 %). With 17 votes in favour, (all the ones of the opposition plus one of the independent councilor Enzo Bonina), the 23rd of October, 2004, the Council voted a motion of no confidence sending everybody home (Lord mayor and Council) and the citizens to polls. 2004 Ernesto Bianca, an executive of Catania’s prefecture, appointed by the Region’s governor Cuffaro, commissary to Bronte’s Council, from the 2nd of December, 2004. Giuseppe (Pino) Firrarello, born on the 9th of August, 1939, at San Cono, elected in the CdL (Freedom’s House) coalition with 7.490 votes (58,95 %), on the first turn of the 15th-16th of May 2005 ‘s administrative elections, after more than twenty years, he, a senator of the republic, becomes again Lord Mayor of Bronte, (he was already that at the beginning of his political career in 1984). He brings back the centre-right to the Council, defeating, with a large majority, the two coalitions of centre-left headed by Salvatore Leanza (outgoing Lord Mayor, distrusted by the Council, who receives just 23,88 % of votes), and by Dario Sammartino, candidate of Franco Catania, who doesn’t go past 16,88%). He has selected as town councilors, Nunzio Calanna, lawyer, born in Bronte the 6th of July, 1943, Vincenzo Caruso, professor, born in Bronte the 3rd of March, 1958, Aldo Catania, employee, born in Bronte the 21st of September, 1961, Lino Leanza, appointed ARS, born in Maletto the 27th of March, 1957, and Antonino Petronaci, lawyer, born at Catania the 14th of September, 1970. He can count on a large majority in the municipal Council, (3 councilors, against 7 of the centre-left, (4 from the Salvatore Leanza coalition and 3 from the Dario Sammartino’s one). In the municipal elections of May 2010, the Bronte reconfirmed for a second term as mayor of the sen. Pino Firrarello giving it 6,740 votes (52.90%); Firrarello won in the first round beating the three candidates Aldo Catania (supported by the MPA of Raffaele Lombardo), Enza Meli (PD) and Salvatore Leanza (former mayor of Bronte in 2002, supported by a civic list). The four lists that supported Firrarello (PDL, UDC and two civic lists) obtained 7,138 votes (57.17%) once again giving the mayor a large majority to the City Council with 13 councilors out of 20. Firrarello appointed as councilors Melo Salvia (deputy mayor, resigned as a municipal councilor), Enzo Bonina (in March 2013 took over Mario Bonsignore), Nunzio Castiglione (replaced by Maria De Luca in March 2013) and Biagio Petralia. In the municipal elections of June 2015, the outgoing mayor sen. Firrarello was not able to apply for a third term and supported the candidacy for mayor of Salvatore Gullotta, outgoing president of the City Council. Gullotta was defeated at the ballot by the left candidate Graziano Calanna. Graziano Calanna, lawyer, born in Catania on March 14, 1971, was proclaimed mayor on June 18, 2015. His candidacy in the municipal elections of May 30, 2015 was strongly desired by the forces of the left, including the Democratic Party and the Megaphone (of President of the Crocetta Region), plus some civic lists. He joined the office of mayor of Bronte at the age of 44 after a ten-year apprenticeship as a city councilor (elected for the first time in 2005 with 211 votes and reconfirmed in 2010 with 277 preferences). Wins the runoff against the candidate supported by the outgoing mayor sen. Firrarello, obtaining from the Brontesi a large majority (57.35%) both votes (5.710) and councilors (14 out of 20). In the first round he had obtained less than half: 2,766 votes (26.88%).During the electoral campaign he indicated Francesco Bortiglio and Antonio Leanza as assessors and, before the ballot, Nuccio Biuso and Angela Saitta. In the settlement phase, in place of Antonio Leanza he appointed Councilor Enza Meli, who, however, during the Municipal Council presentation of the City Council, refused the nomination creating a first fracture in the coalition that supported the rise of Calanna to mayor from Bronte. The constitution of the first Junta was completed on 11 July 2015, even if with some controversial aftermath. His first municipal councillor were Vittorio Triscari (deputy mayor), Francesco Bortiglio, Nuccio Biuso and Antonio Currao. Calanna has reserved the most important delegations such as Urban Planning, Public Works, Human Resources, Budget, Tributes, Quality of Life, Youth Policies, Artisan Zone and Sport. The inspiring principles indicated by him in the electoral program are "legality and transparency, respect for rules, coherence, behavioral ethics and participation" and also the "refusal of any waste of public money".